As Halloween creeps up on us, we, at the Wisconsin Union, have some treats (no tricks) planned for you. I met up with Brennan Bahr, Wisconsin Union Directorate (WUD) vice president of external relations, to learn more about the Union’s plans for a scary-fun week! 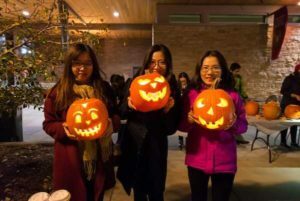 Kicking off the Union’s holiday festivities, WUD Global Connections and International Student Services is hosting a free pumpkin carving right outside of Union South from 6:30 p.m. – 8:30 p.m. Bring your friends and enjoy hot chocolate while you carve a pumpkin that you can take home! To learn more, click here. Let’s do the time warp again in Shannon Hall! See Dr. Frank-N-Furter welcome Brad and Janet into his mysterious mansion in this 1975 classic made even better with a live shadow cast. You’re welcome to come dressed in your Rocky Horror best! Check our events calendar for more details soon: union.wisc.edu/event-calendar. Your days of trick or treating may be behind you (or not, no judgement). But, with the Union, you still have free Halloween treats ahead of you, including at Sett Recreation’s Halloween Bowling Tournament. Bowlers of all skill levels are encouraged to join this friendly competition and enjoy free popcorn just for participating. There’s no cost to enter, and fabulous prizes await the three top bowlers in each division level. To learn more and register, click here. Happy Halloween from the Union! Your perfect Halloweek is waiting for you at Union South and Memorial Union. 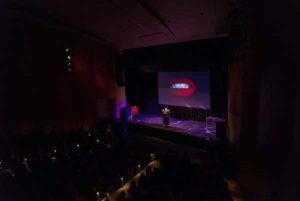 “From pumpkin carving to scary movies, Halloween at the Union offers a traditional and welcoming place to enjoy the holiday,” Brennan said. As student members be sure to check out the Wisconsin Union calendar for more Halloween events and activities and our thousands of other events throughout the year here.